In the state’s highest class, East Coweta is the team to beat. Grayson, Mill Creek, North Gwinnett and Lowndes make up the top-5. The Lady Indians are rated, alongside Grayson and Mill Creek, as three of the best teams in the country. In Class AAAAAA, Allatoona is the top-team this week after Coffee’s slide to second. Houston County, Alexander and Creekview round out the top-5. Pope, Lee County, South Paulding, Effingham County and Harrison make up the bottom portion of the rankings in that order. Locust Grove takes over Class AAAAA with Bainbridge making a climb to No. 2 this week. Starr’s Mill, Jones County and Harris County round out the top-5. In Class AAAA Chapel Hill is again at the top in Class AAAA with Central-Carroll, Northside-Columbus, Marist and Heritage-Ringgold chasing. Madison County, LaGrange, Eastside, Hampton and Cairo fill out the bottom half of the rankings. Jackson County overtook the No. 1 spot this week following a shift in AAA. Sonoraville is second this week. Pike County, Franklin County and Lovett round out the top-5. Calhoun, previously second, fell to sixth following losses. Rockmart is on top of Class AA again this week. Previous No. 2 Harlem slid to No. 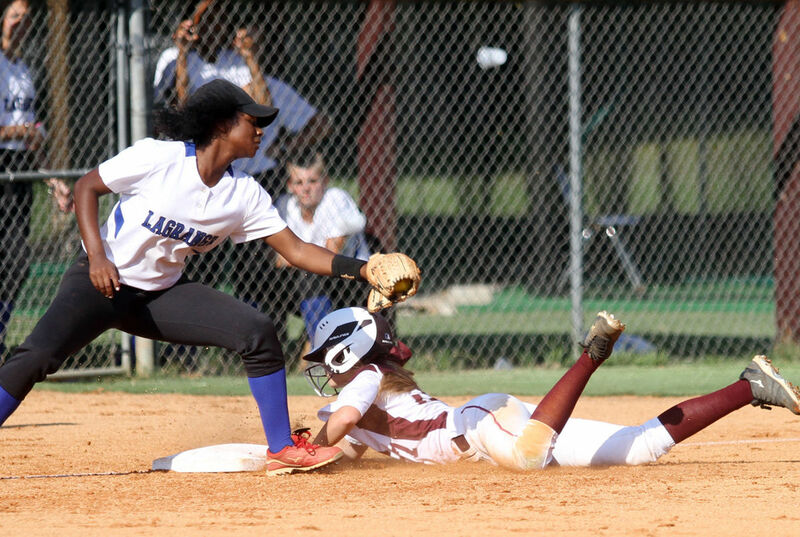 5 which allowed Monticello in at second with Heard (No. 3) and Social Circle (No. 4) chasing. In Class A-Public, Gordon Lee hangs on to the top-spot this week with Schley, Bowdon, Trion and Marion County rounding out the top-5. On the private side of Class A, Wesleyan stays at the top. Tattnall Square, Stratford Academy, First Presbyterian Day and George Walton Academy make up the top-5.